After an historic bus tour by adjunct professors and graduate workers across the sunshine state, momentum continues to build in Florida to improve higher education through tuition-free college, student loan forgiveness and a $15 an hour minimum wage and a union for all campus employees. This #FreeCollegeNow Tour came on the heels of adjuncts at Miami Dade College filing in July for their union election. Faculty at Miami Dade joined their colleagues at Valencia College, Seminole State College, Hillsborough Community College, Broward College and University of South Florida as part of a growing statewide movement of Florida adjuncts organizing to renew the promise of higher education for all Floridians. Adjuncts across the state have increased their calls for greater investment in the state’s higher education system. 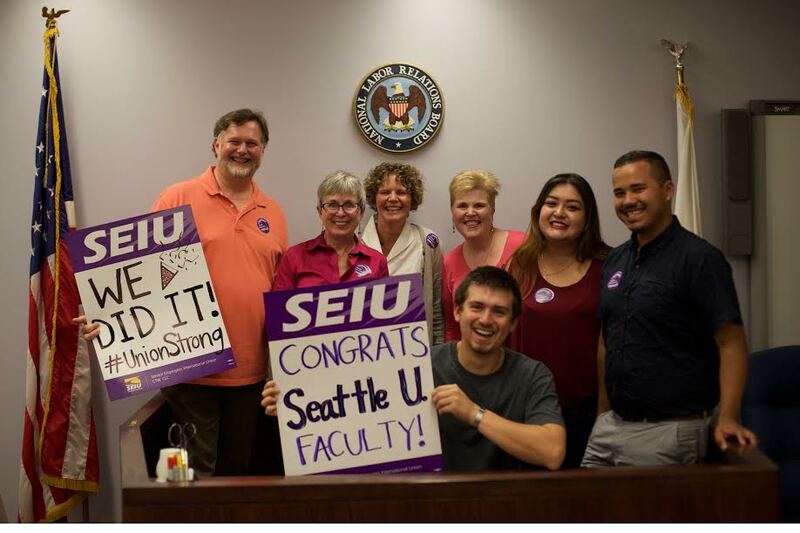 Adjuncts on all 28 Florida College System colleges are now actively organizing with SEIU Faculty Forward. In addition to the winning elections at Hillsborough Community College, University of South Florida and Broward College, Seminole State College adjuncts will vote in October for their union, and adjuncts at Valencia College and Miami-Dade College – America’s largest community college – are telling their administrators to honor their constitutional right to vote and join Florida Public Services Union. “Momentum is growing in Florida and nationwide as heavy college debt looms for thousands of students…Across Florida, college adjunct instructors, students and other supporters recently toured the state by bus, rallying for education reforms, including free college tuition.